Christopher Wilson has joined the department as the Math Intern for the 2016–2017 academic year. In this position, Chris will offer help to students in Calculus and Precalculus courses. Chris is a 2016 graduate of Hobart College, where he was a double major in Mathematics and Physics. He plans to attend graduate school after his year as Math Intern. Ann Oaks, Professor Emerita of Mathematics, will receive a Distinguished Faculty Award on June 3, during HWS Reunion 2016. Professor Oaks is a 1974 graduate of William Smith College who went on to receive a Ph.D. from the University of Rochester and who returned to HWS as a Professor Mathematics and Computer Science from 1979 to 2003. 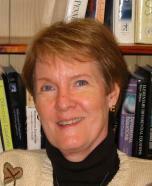 She is also a parent of three HWS alumni: Jeffrey A. Oaks '84, Kimberly O. Holmes '85 and Kathleen Menn-Oaks '89. The award was presented by Elaine Bruno WS '91. You can read a PDF of Elaine's presentation speech here. The Distinguished Faculty Award was established in 1990 by the Hobart Alumni Association and the William Smith Alumnae Association. It recognizes the teaching and scholarly achievements of professors who are retired or have moved on from Hobart and William Smith. Other former Professors of Mathematics who have received the Distinguished Faculty Award include Irving Bentsen, Abigail Mosey, William Pitt Durfee, and Walter Hetherington Durfee. Graduating math major Aaron Ackbarali H'16 has completed an Honors project titled "The Atiyah-Singer Index Theorem and Fractal Geometry." The Aiyah-Singer index theorem is a famous theorem that reveals a fundamental relationship between two fields of mathematics, analysis and algebraic topology. Aaron's goal is to extend the theorem to the geometric objects known as fractals. Although the honors project is a start towards this goal, Aaron plans to continue his work while pursuing a Ph.D. in Mathematics at Stony Brook University. Aaron's advisor for the project was Professor Jon Forde. The Robert Beinert Prize, awarded to a a graduating Senior for excellence in Mathematics, to Aaron Ackbarali H'16. The John S. Klein Prize, awarded to a graduating Senior to recognize excellence in Computer Science, to Matthew McPartlon H'16. The Catherine Adele Rippey '35 Prize, awarded to a William Smith Senior to recognize excellence in Mathematics, to Susan Tuvell WS'16. The Glenn M. Lee Prize, awarded to the Hobart Senior who has been most proficient in mathematics and athletics, to Christopher Wilson H'16. The Abigail Mosey Book Prize, awarded to a Hobart or William Smith Senior for generosity in helping others to learn and appreciate mathematical ideas, to Alyssa Newman WS'16. The William Ross Proctor Prize, awarded to the William Smith Sophomore who has achieved the highest rank in mathematics in her first two years at the Colleges, to Katherine Campbell WS'18 and Lauren Kogelmann WS'18. The Irving Bentsen Prize, awarded to the second year student at Hobart College who has the most outstanding record in mathematics and computer science, to Andrew Scammell H'18 and Jiahao Wei H'18. For more about student prizes in the Department of Mathematics and Computer Science, including lists of past recipients, visit our department prizes page. The Hobart and William Smith Colleges chapter of ΦΒΚ, the national honor society, has announced its student inductees for 2016. Students are elected by current members of the chapter, who were themselves elected to ΦΒΚ during their own undergraduate careers. Departmental majors selected for membership this year include Duncan Lilley H'17 (Math and Computer Science), John Remmert H'16 (Mathematics), and Chris Wilson H'16 (Mathematics). Also elected was Math minor Sean Bright H'17. 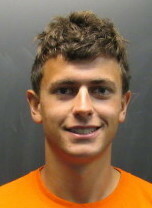 In addition, Math and Computer Science major Matt McPartlon H'16 was elected last year as a Junior. Joseph Rusinko joined the department as an associate professor in the Fall semester of 2016. Professor Rusinko received his Ph.D. from the University of Georgia in 2007, and has previously taught at Winthrop University in South Carolina. His research interests are in the area of applied algebraic geometry, and in particular its applications to phylogenetics. Tasha Williams joined the Department in Fall, 2016 to serve as the math intern for the academic year 2015–16. Williams received an M.S. in Operations Research in 1995 from the Georgia Institute of Technology. She has taught mathematics for over ten years at the United States Military Academy at West Point. The Robert Beinert Prize, awarded to a a graduating Senior for excellence in Mathematics, to Alana Kilcullen WS'15. The John S. Klein Prize, awarded to a graduating Senior to recognize excellence in Computer Science, to Luke DeLuccia H'15. The Catherine Adele Rippey '35 Prize, to a William Smith senior to recognize excellence in Mathematics, to Alana Kilcullen WS'15. The William Ross Proctor Prize, awarded to the William Smith Sophomore who has achieved the highest rank in mathematics in her first two years at the Colleges, to Yu Cai WS'17. 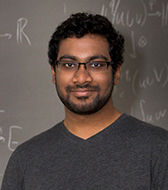 The Irving Bentsen Prize, awarded to the second year student at Hobart College who has the most outstanding record in mathematics and computer science, to Duncan Lilley H'17. ΦBK (Phi Beta Kappa) is a national academic honor society. It was founded in 1776, and it currently has chapters at 283 American colleges and universities. According to its web site, "Phi Beta Kappa celebrates and advocates excellence in the liberal arts and sciences. Its campus chapters invite for induction the most outstanding arts and sciences students at America's leading colleges and universities." In addition, Luke DeLuccia H'15 was selected for membership as a Junior in 2014. Selection as a Junior is considered to be a singular honor. William Smith alum and math major Kimberly Oaks Holmes is Senior Vice President of Strategic Analytics, XL Group (Insurance and Reinsurance). She recently published an article entitled Winning in a Competitive Environment: Who knew Baseball and Insurance had so much in common? The article provides an overview of how analytics are being used in both baseball (Billy Beane of Moneyball fame) and the insurance business.